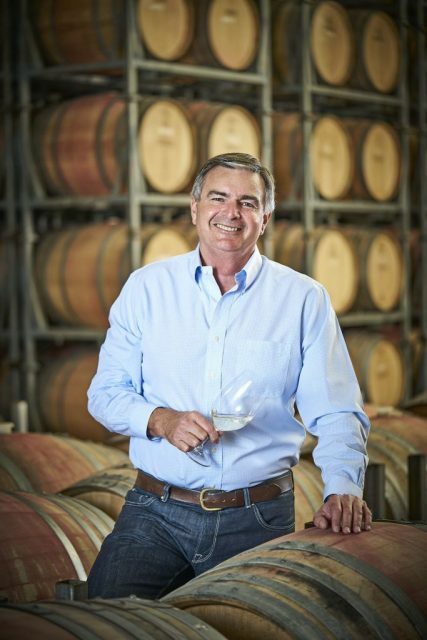 Neil McGuigan, the chief executive of wine producer Australian Vintage, has prepared for “every eventuality” in the coming weeks. Despite the company suffering a blow to its profits shortly after the Brexit vote, McGuigan told db that Dyer encouraged executives to double-down on their interests in the UK. “When the Brexit vote came it cost us $5-1&0m in profit and $10m in cash flow thanks to the exchange rate. It really hurt us, but Julian said “mate we’ve got to continue to invest”. McGuigan told db the company had ramped up its presence in the UK, launching its first marketing campaign last year, which he said had driven its sales footprint in the country. AV’s profits rose by 79% in the year to 30 June 2018, with UK sales up by 18%. The UK and Europe made up around 44% of AV’s total revenue of $143 million, with the UK representing most of the $62.5 million in sales. Dyer told db that, although a break from the EU could create an opportunity for a new free trade deal with Australia, he added that the UK’s comparatively high duty on alcohol is still a cause for concern for many countries where wine production forms a large part of the economy. While the UK’s departure from the customs union is “not good”, a greater concern for alcohol companies is the UK’s “hideous taxation”. Dyer pointed out that, since 2010, duty on wine has risen by 39% in the UK. Duty on wine rose 1 February 2019, while excise duties on spirits and beer were frozen by chancellor Philip Hammond in the 2018 Autumn Statement. Beyond Brexit, McGuigan also noted that the company is paying closer attention to Chinese exports. Wine exports into China rose 18% to $1.1 billion in the second half of 2018, according to AV’s latest results posted in February. “In the last 6 months our sales growth has actually been higher than the Australian sales growth,” McGuigan said. McGuigan said the rate of annual wine consumption per capita in China is 1lr per head, compared with 45 litres per capita in Italy last year, according to statista. Earlier this year, the company announced plans to spend AUS$11 million on a new state-of-the-art bottling facility in Victoria in order to “significantly increase” its production capabilities. McGuigan told the drinks business that, as well as updating the company’s technology, the new facility will also have the capacity to produce sparkling wine. The project is part of a larger $19 million investment to improve the company’s operations across all its sites. The other $8 million, McGuigan said, is being spent on a super-premium estate in Buronga Hill, New South Wales.